This 52 tooth thinning scissor will help you to remove lines, remove bulk and blend layers together. 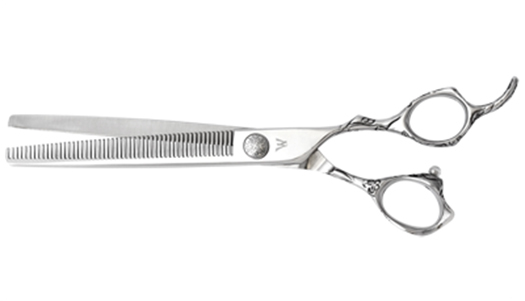 Washi's new 52 tooth thinning shear is made from Japanese 440C steel for durability. This tool will remove weight and remove lines from any coat. Made with grooved teeth for a clean cutting action.